Nearly every week, I’m excited to discover new ways that Intel® Xeon® processors are helping businesses reach new customers with innovative apps and services. Here’s a case in point: Autodesk has found a way to harness the power of Intel Xeon processors to help architectural, engineering, and construction (AEC) firms quickly create photorealistic 3D models of buildings and other outdoor scenes. For AEC firms, it’s extremely helpful to have accurate 3D models for new designs and renovations, but creating those models within a practical timeframe has always been a challenge. Until recently, in fact, performing reality capture with cameras was too expensive, time-consuming, and compute-intensive for most companies to even bother. To begin with, users needed to take many photos around the building at all angles, including from overhead. That alone was nearly impossible to achieve before now. But even if they did have all the photos they needed, the processing power required to turn those photos into a usable 3D model was—and still is—a significant hurdle. These kinds of operations require hundreds of thousands of calculations, and as recently as a few years ago, they might’ve even taken days to complete. Autodesk takes advantage of recent tech advances to offer its customers a better option. 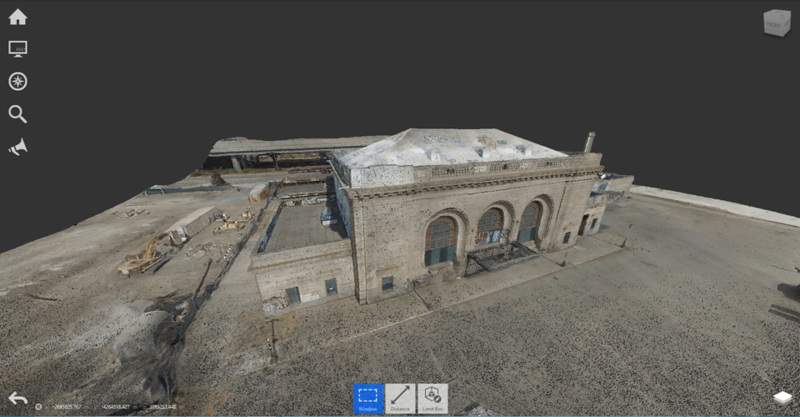 The cost of aerial drones has plummeted, and as a result, firms can now easily and affordably capture all the photos that are needed for the 3D modeling of buildings and other outdoor scenes. Autodesk has responded to this opportunity through Autodesk ReCap Photo*, an application that uses the power of higher-core-count Intel Xeon processors to make short work of the complex calculations needed to build 3D models from a collection of photos shot around a scene. The scalability of Intel Xeon processors is the linchpin to the success of Autodesk ReCap Photo. As you probably know, having multiple cores in a processor does not automatically lead to significantly higher performance. Fortunately, Autodesk has performed the painstaking work of writing the code base of Autodesk ReCap Photo in a way that can make good use of the power of Intel Xeon processors. So now, thanks to Autodesk ReCap Photo and the high core counts of Intel Xeon processors—which can power servers in the cloud as easily as local workstations—it is possible to build 3D models much faster than it would otherwise be on a two- or four-core system. These time savings are then passed on to designers, architects, and engineers, which can help increase their productivity and profitability. Beyond the advantages provided by Intel Xeon processors in general, servers and workstations based on the newest Intel Xeon Scalable processor platform, in particular, accelerate workflows and create new exciting opportunities for customers. The higher frequencies of these processors, for example, mean that firms can present better visualizations to their customers through high-resolution animations or virtual-reality (VR) immersion. Faster processing also translates to faster day-to-day operations, such as saving large files faster than ever. Meanwhile, the fast storage and input/output (I/O) capabilities of the Intel Xeon Scalable platform lead to faster exports and imports to and from other Autodesk applications. To see how much faster the modeling process could be completed on the newer platform, Intel and Autodesk decided to run some benchmark tests. Upgrading to a modern workstation, users experienced faster load times along with faster processing times. The sweet spot turned out to be on systems equipped with a high-frequency, 10-core Intel Xeon Scalable processor. Creating a 3D model from 164 test photos on such a system was found to be almost 44 percent faster compared to using a 3-year-old platform. The test results prove that the high performance from newer Intel Xeon processors lets companies create 3D models more quickly and affordably than ever before. The time saved from faster processing can lead to increased productivity for AEC firms, but the feasibility of reality capture with Autodesk ReCap Photo has important safety benefits too. The new ease and affordability of 3D modeling of construction sites mean that AEC firms can repeatedly make new models throughout the building process. These models, created at various stages, can compare actual construction as-built to the original construction plans. Being able to verify construction throughout the process in this way can help reduce uncertainty and risk, enforce compliance, and improve the safety of both private and public projects. 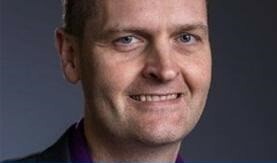 And Autodesk is just one example of the many companies who are making use of Intel Xeon processors to make processes that used to be costly and arduous fast and affordable for customers. Get the full story on Autodesk 3D modeling with servers built on Intel Xeon processors. To learn more about the new Intel Xeon Scalable processors, visit intel.com/xeonscalable. And be sure to follow me, @TimIntel, and my growing #TechTim community on Twitter. Testing conducted by Intel and Autodesk in 2017. Configurations: Baseline: 2x Intel® Xeon® processor E5-2697 v3 (28 cores, 2.6 GHz), a 1.2 TB Intel® SSD 750 Series drive with NVMe*, and 2x NVIDIA Quadro P6000*. Newer system: Intel Xeon processor W-2156 (8 cores, 3.7 GHz).